Should You Pay People For Their Portrait? Before I get into this discussion, I'm referring to travel photography, not commercial/fashion stuff. That part of the industry plays by a whole different set of rules. This question came up a couple of times during the trip to Ethiopia, and one that I'd struggled with previously. I would be talking to someone, and raise my camera up, or be passing through a crowded market with my eye to the viewfinder, and the 'Hello, money!' response would arrive. Granted, there are photographers who home in on the poorest areas they can find, looking to exploit poverty for their photographic gain. And in this case, when asked for money, one might conclude there ought to be a level of compensation to the people. There also seems to be a trend in photographing homeless people in the pursuit of 'raw' or 'authentic' images that in virtue of their exploitative nature would also morally merit a degree of compensation. I rarely sell any of my images. For me, I just love capturing scenes. It's the first part of the question that troubles me most. For example, near a village in the Simien Mountains, a bundled up group of men were sitting against a vibrant turquoise wall. The beauty of all the elements coalescing in this one frame led me to ask if I could take their photo. One of them shook his head, and said "Money." I declined. A few minutes later, I was sitting down and I saw a boy who was also bundled up. He looked at me, and gestured for me to come over. He then asked for money, and for me to take his picture. I told him no. I also told him I had a camera that could give him his picture. We talked some more, and then I asked if I could take his photo, if I gave him one in return. He loved the idea. In the end, the interaction was defined by a reciprocal transaction- one where each of us gave something. Is money just a placeholder for this reciprocity, or should we look beyond money to more meaningful form of remuneration? This child who got the photo rushed over to show the older men by the wall, who then wanted me to take their photo. The dynamic with them, that had only recently been defined by a monetary transaction, had totally shifted. This suggests that maybe what people sometimes want is a level of respect many photographers don't give. In the pursuit of a good photo, photographers can forget the two way street our actions ought to encompass. I posted previously on how much I loved using a photo printer and instant camera in the field, as it forged a connection with the subject. 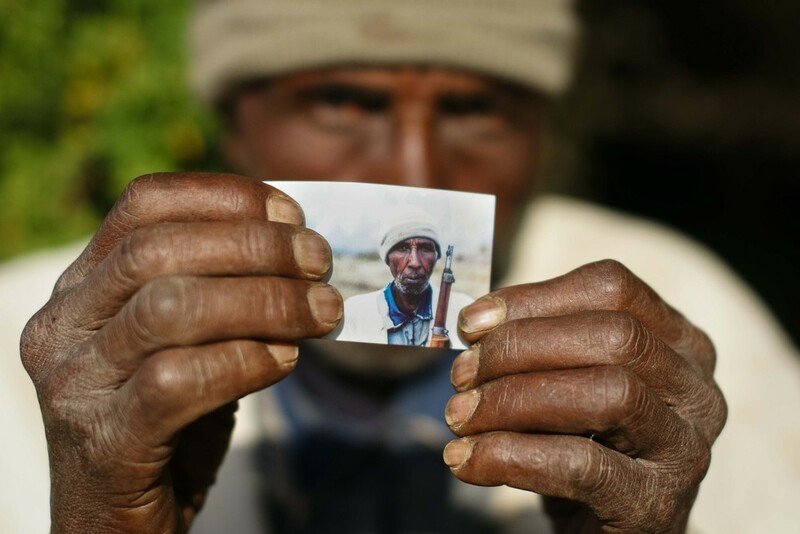 After Ethiopia, I see how it can address a tough issue that photographers face- do you pay your subjects? For me the issue still isn't resolved, but I'd love to hear thoughts on the issue! Please join the discussion and leave comments! Below are some of my favourite photos of people holding their portraits. The picture of the boy in the Simien Mountains. After we talked and he got this picture, we both left happy. An early morning portrait in Lalibela, Ethiopia. Asafa, on the first evening in the Simien Mountains. Abdul (our guide) with a machiatto in Harar. This guy also wanted money, but was definitely into the printed photo. Asafa, one more time. Because he's just that awesome.